Well this is frustrating. 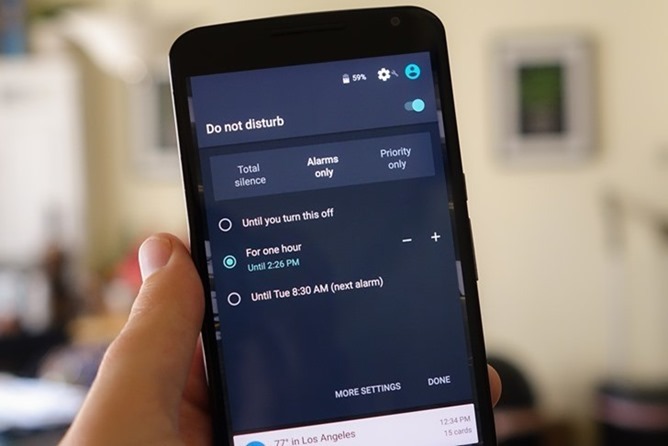 The bug that caused the "Until Next Alarm" function of Android's Do Not Disturb mode to disappear, which manifested itself in late December on a number of Android phones running Lollipop 5.1 and later, is back. The timing of the month seems more than coincidental. Since the problem manifested late in December, presumably Google didn't have time to implement a fix in the latest round of scheduled Android updates. It looks like this will keep occurring at the tail end of the month until Google fixes it - hopefully in the latest round of Nexus updates. Since the problem popped up for older versions of Android as well, it might be originating from server-side function on Google's part, possibly with a fix that doesn't require a software update for every affected device. There's a work-around in place (aside from simply waiting for a few days), but it involves intentionally setting the date to the wrong value, so it's less than ideal. Google's next updates for Nexus devices running Marshmallow should be sent out sometime in February. Hopefully this small issue will be sorted out then, or sometime before. While the Until Next Alarm feature isn't exactly crucial, having it come and go is really messing with some people's usage.